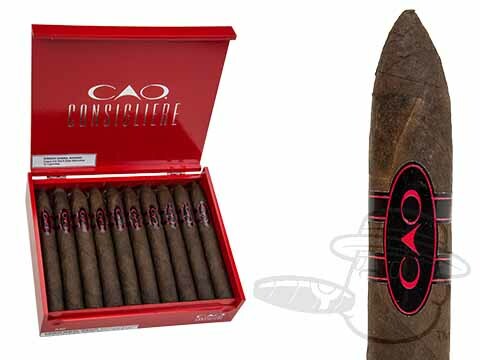 The name may be new, but this best-selling CAO blend is no stranger to the palates of discerning smokers. 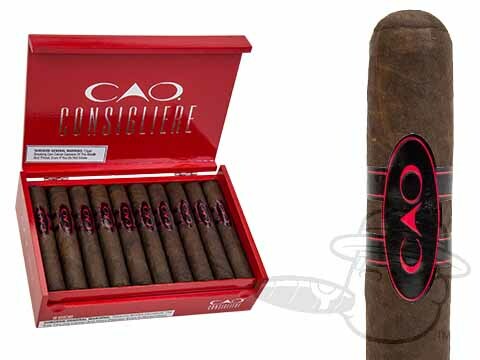 The Consigliere unites a Brazilian mata fina wrapper, Honduran binder, and aged long-fillers from Colombia, the Dominican Republic, and Nicaragua to bring you a rich and full-bodied flavor profile you can’t refuse. Earthy, leathery, and spicy, these bold gems in the red lacquer boxes and black and red bands are back and here to stay. 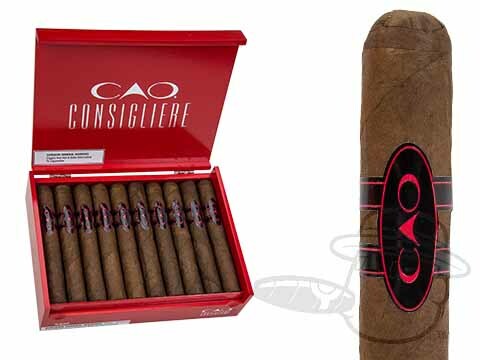 Order now and your box of Consigliere may just fall off of the back of a truck real soon, but you didn’t see nothin'. Capisce?